As a companion to yesterday’s The Evolution of the Volatility Index Family Tree post, I thought it might be helpful to include a comparative look at the major U.S. volatility indices, which is what the table below hopes to accomplish. The main distinguishing factor for these indices is whether or not futures and options are available as a means to trade the underlying. It is also important to note not just the launch date for the index, but also the period for which historical data are available. In some cases (e.g., VIX, VXO, VXD), this extends back several years prior to the official index launch. 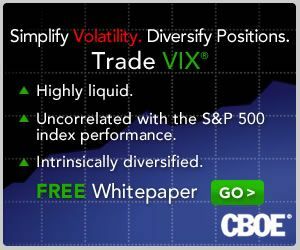 Two of the indices stand out from the crowd for a particular unique characteristic: the QQV is the only volatility index that is sponsored by the American Stock Exchange (AMEX); and the VXV is the only index that has a 93 day time horizon rather than the standard 30 days. Finally, I have covered this in several on the blog, but those who are interested in why there is an asterisk for the VIX and VXO launch dates should be aware that the calculation methodology for the ‘original VIX’ (VXO) was overhauled in 2003, at which point the original methodology was preserved under a new VXO ticker and the new methodology was applied to the VIX ticker. Some additional details are available in Ten Things Everyone Should Know About the VIX. Style listed as American or European, yet you cant buy or sell the VIX directly, so is there a simple explanation on how this applies? Best Hurricane Blog Out There?